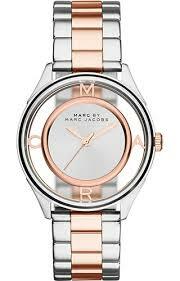 Marc by Marc Jacobs’ ‘Tether’ collection presents a unique watch with a fashionable face, sure to catch an eye or two. Contemporary yet feminine make this an instant Marc classic. This timepiece is given a sleek modern touch with the label’s signature hour markers on a sunray brushed dial surrounded by a translucent doughnut rim and a classic three-link bracelet. 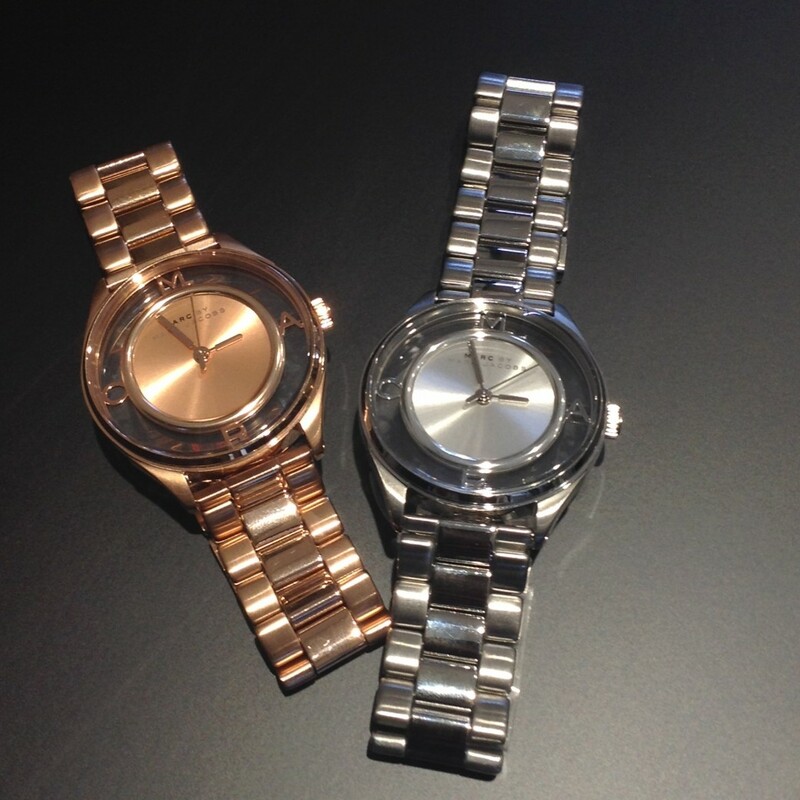 Choose your favourite in silver, rose gold or a two-tone combo.